How long do you plan to stay in the house? Are you looking for stability or flexibility? Do you want to be responsible for maintenance and repairs? To summarize: Homes typically increase in value (approximately 7.2% in California in 2017) thereby increasing your retirement fund, whereas, every penny spent on rent is gone forever. 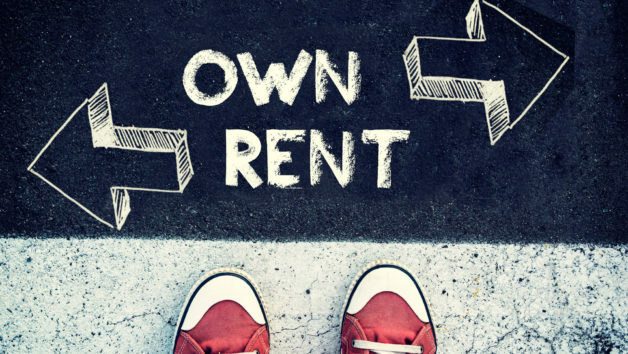 Your homeowner costs are more predictable and stable than renters’ expenses, since a landlord can raise your rent in accordance with the rent control laws in your city every year. If you own a portion of your mortgage, interest and property tax is deductible. There may be a small renters’ deduction if you rent. When you reach the decision to buy, but find you do not qualify for a conventional loan, you need a fast loan or stronger offer over others, Sun Pacific Mortgage will be here to help you achieve your dream! We have unique alternative financing options through our Hard Money lending programs. Strange & Scary Loans Don’t Frighten Us!